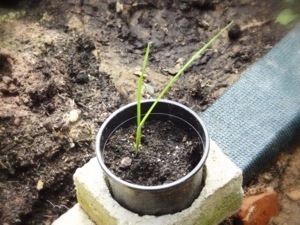 So, I planted some of the lobbed off end bits of veggies and plopped them in the dirt to hopefully get a sprout or two, but it’s actually been quite fruitful! Some bedraggled parsley above. After rescuing the parsley from a snail zone, it has been thriving. I used to like snails and slugs…but they’ve been such a menace to my garden that my sentiment towards them has waned rather drastically. I’ve had to do daily Slug Patrols to relocate the little slime balls. This little growing project was kickstarted because of this websitee. 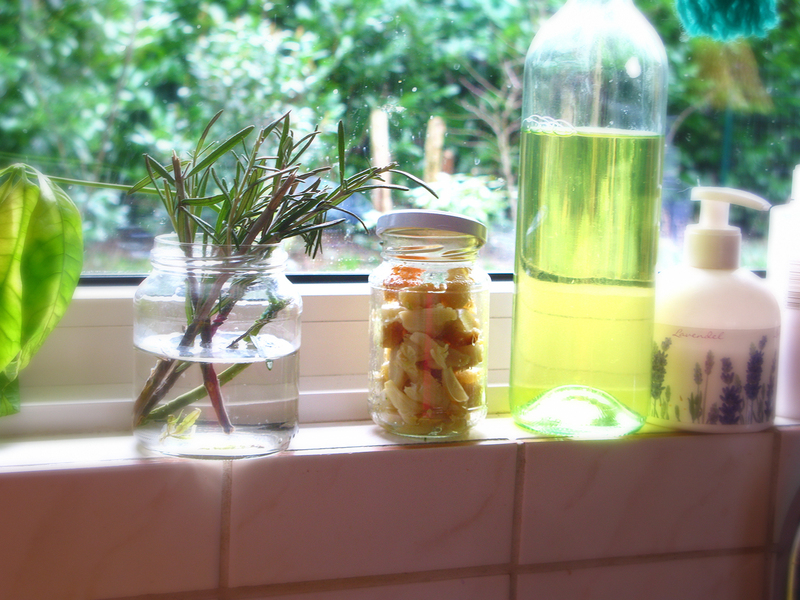 They soak their ends first…I didn’t, but it’s worked out good so far. 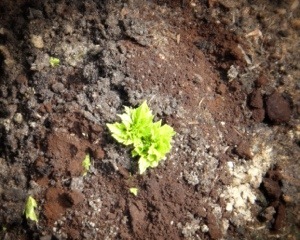 I have coffee grounds sprinkled around the outside of the growing celery zone to keep the !#*& slugs away. I have some carrot ends buried too, but so far I haven’t seen any green fringe emerging from the dirt. 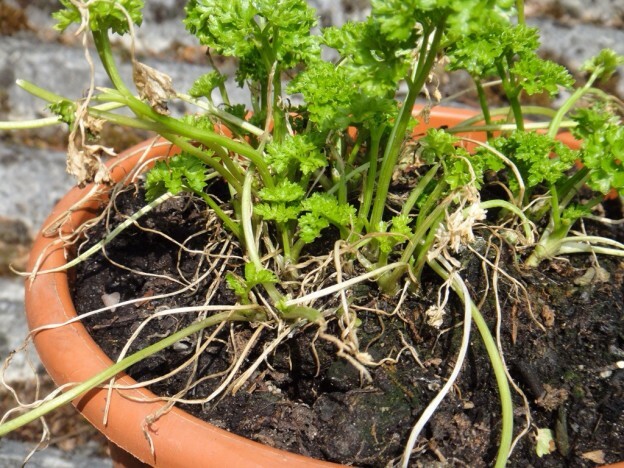 All you have to do is save the root ends from your veggies and put them in a soil-filled pot or plunk them right into the dirt in your garden. Water. Wait. Then…magic happens! 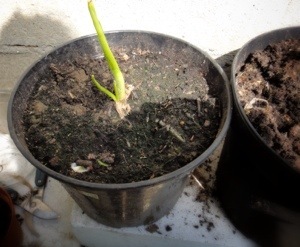 This entry was posted in Food, home + garden, Garden, Tips and tricks and tagged celery, gardening, garlic, no seeds, onion, parsley, vegetable scraps on 15 May 2014 by peas. I don’t always use every last bit of fresh produce that I have, so I freeze things! The best way to freeze things so they don’t glom together is to add your blueberries, green onions, peas, etc. in a single layer to a baking sheet. Try to keep them as separated, but some can touch. Just keep them in one layer. Put them level in the freezer. Wait. Once they’re frozen, remove them from the baking sheet and put them in a freezer bag or other container. Now, when you go to use a little here or a little there you’ll have single pieces instead of a chunk of raspberries or a icy ball of peas. This entry was posted in Food, home + garden, Tips and tricks and tagged freezing, fruit, individual pieces, produce, tip, vegetables on 18 February 2014 by peas. Do as much as you want at a time because you can freeze what you don’t immediately need. 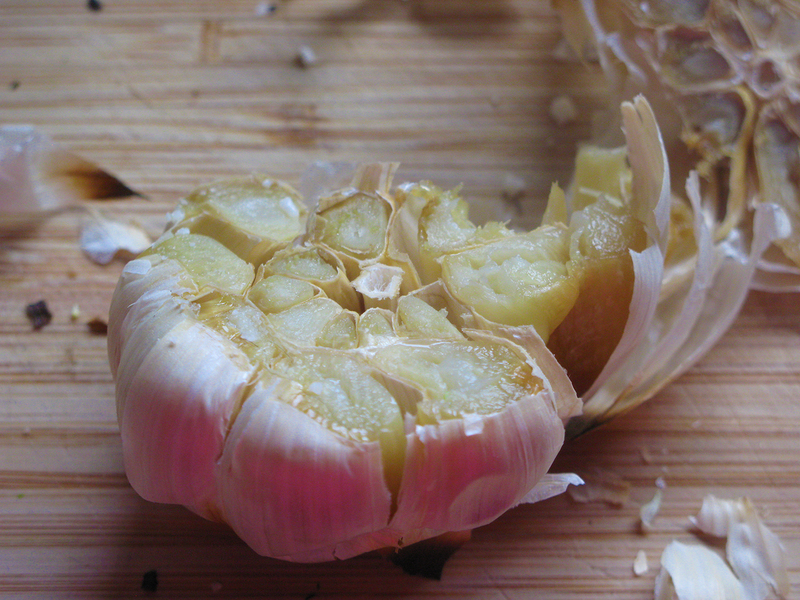 Put the whole garlic bulb (skin and all) into the oven at about 350°/180°. Slice the bottom off of the bulb. Leave them in for about 20-30 minutes. Watch them carefully so they don’t burn! They will reach roasty goodness when the outer skins are browning. 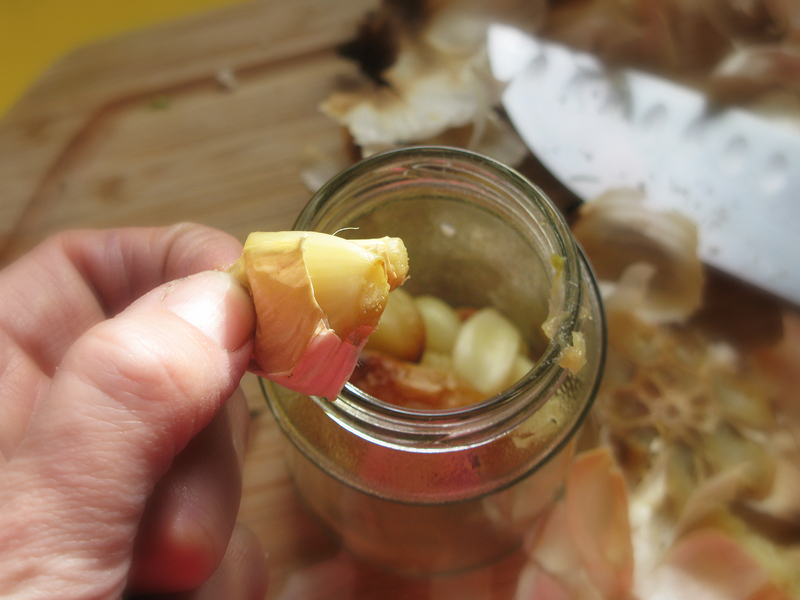 Then, pop the cloves out of the husk. Leave them to cool down, if you’re not using them right away. I like doing a few bulbs at a time, so I can freeze some. 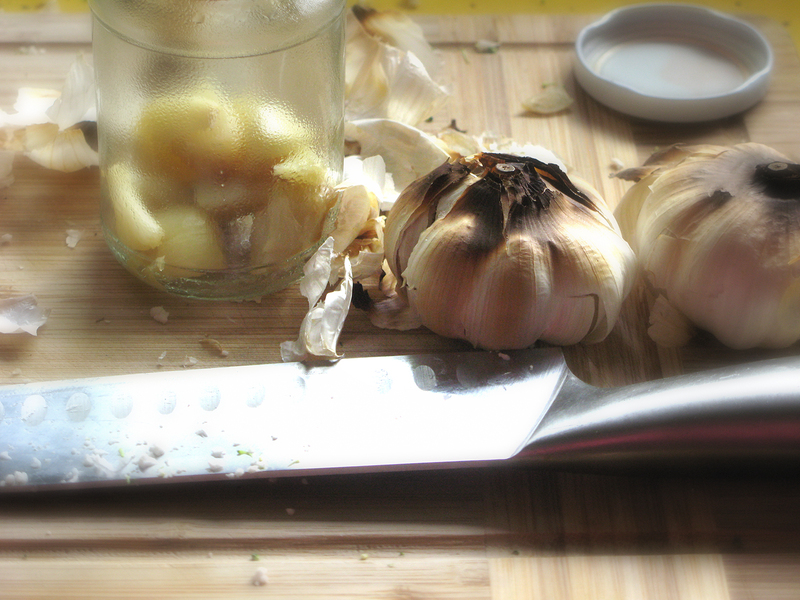 To freeze, spread the cloves out on a baking sheet or anything flat that can fit into the freezer. Try to keep them from touching, so they can freeze as individual cloves instead of being glommed together. Once they’re frozen you can store them in a container or a freezer bag. I found a bunch of these pretty little chestnuts near my school, but I have no idea what to do with them except stare at them. They’re so pretty! UPDATE: I have since found a method to make roasted chestnuts: They’re in the oven as I type! 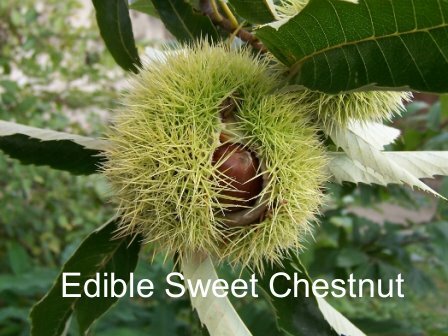 ANOTHER UPDATE: Get to know the chestnut trees ion your area BEFORE you bother trying to cook + roast them. There is a difference. The ones I just roasted did not taste like the warm roasted chestnuts I had in NYC. 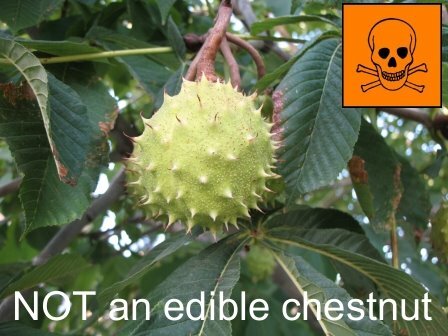 I just roasted the poisonous kind (horse chestnuts). This was a silly post. 09 Oct 2012: Another update. 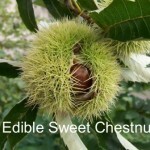 Here are the right chestnuts. I grabbed a few today. No one told me they are the opposite of soft and fluffy. Hurt like heck! 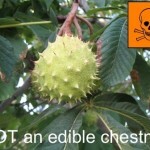 This entry was posted in Food, home + garden, Tips and tricks and tagged chestnuts, edible, found, horse chestnut, Netherlands, poisonous, roasted, sweet chestnuts, tree on 3 October 2012 by peas.